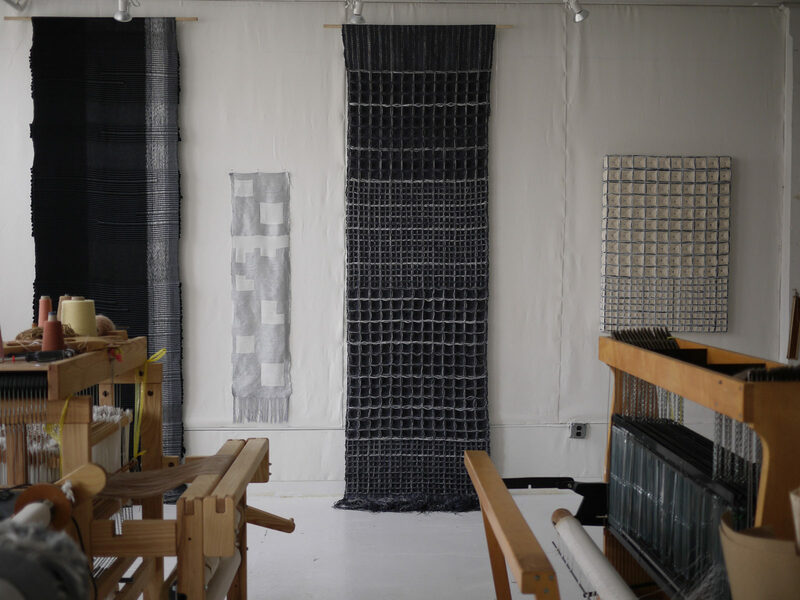 We visit the weaver in her workshop and learn how she crafts her pieces. 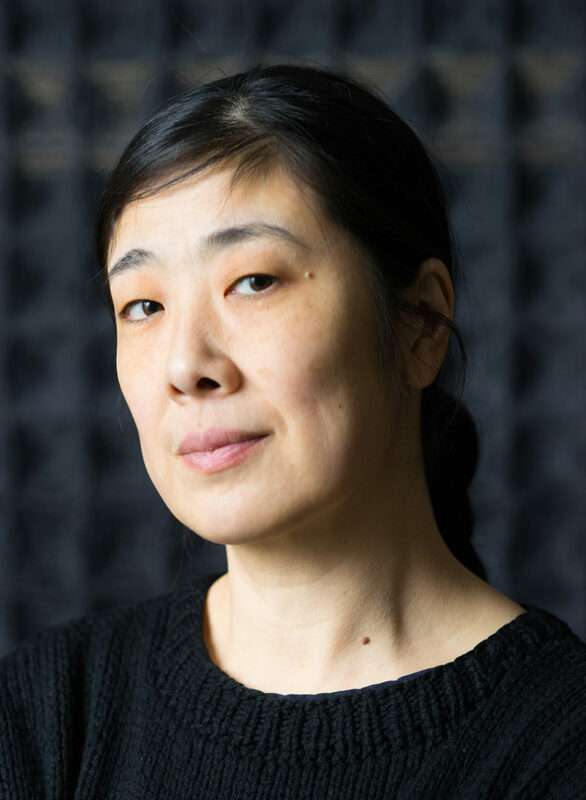 Unless their designs involve a big logo of their name, I’m not sure there’s a designer out there whose work is as instantly identifiable as Hiroko Takeda’s. You walk into a room, you see her weave on the wall, you know it’s hers, and you can be assured it’s a cool room. 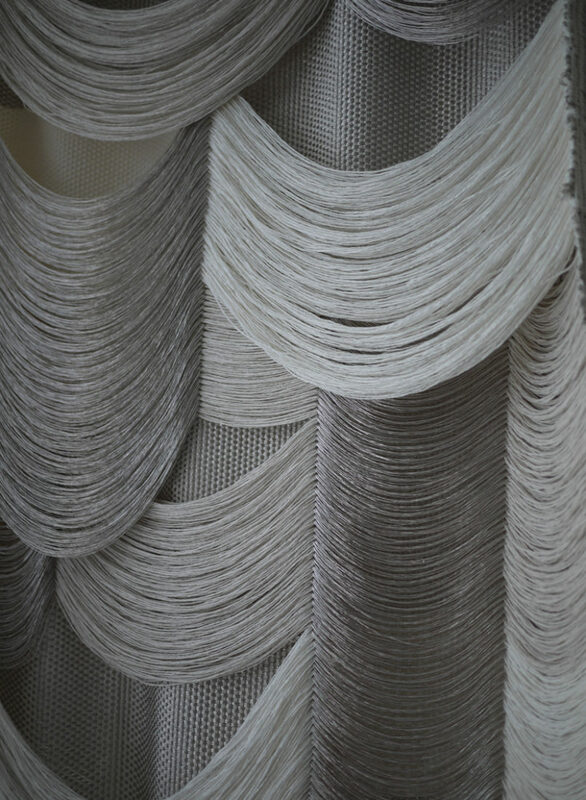 I was first introduced to Takeda when I saw her waffle styles weaves at the Colony showroom. 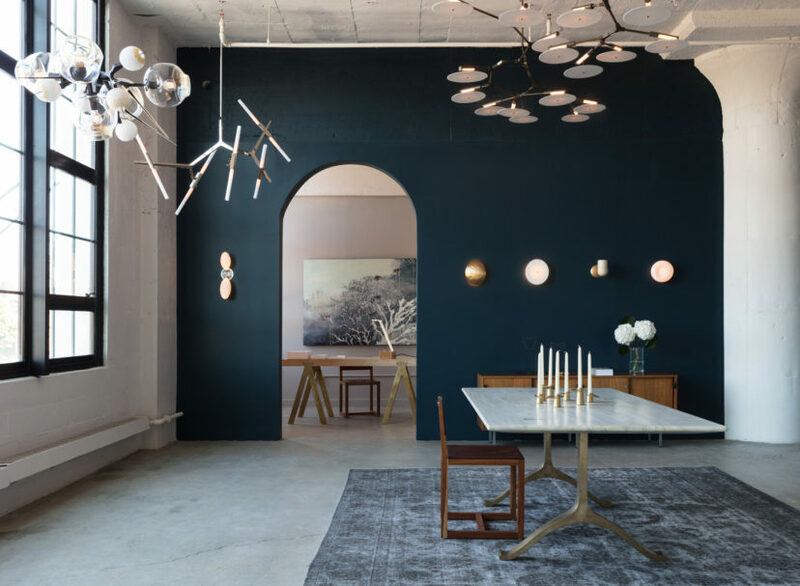 These 3D art objects hang on the wall, rich with craft and geometry, breathing their spirit into a space. 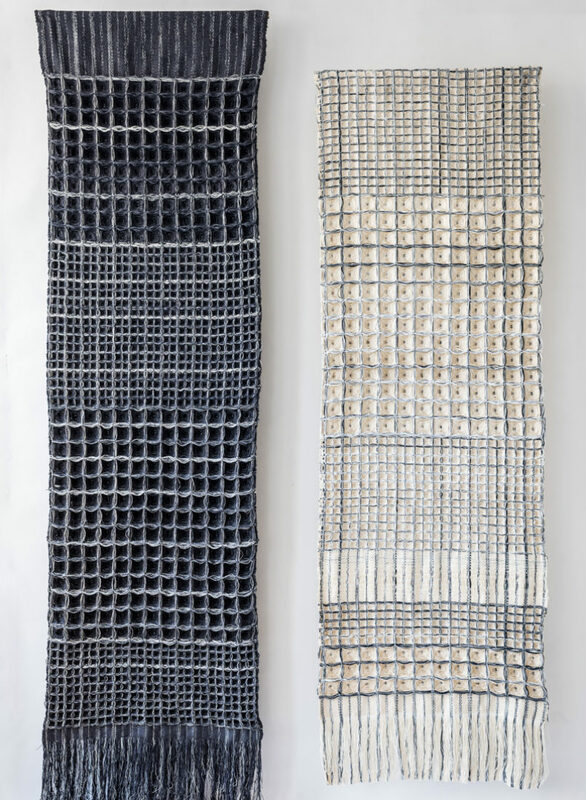 It is this effect of the weaves that is at the core of Takeda’s project; the careful craftsmanship that goes into creating this effect is a means to that end. As she puts it, “I have a craft background and technique. 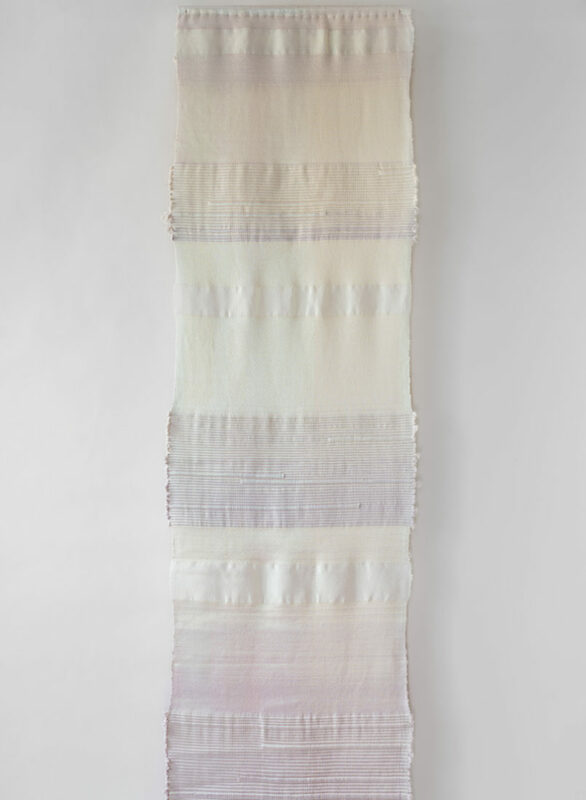 There will be a project, and I just use that technique to realize my idea or concept.” The same is the case for her materials. She starts off with a feeling or mood she wants to achieve “If I want something drier, or wet, or something cozy, or sheer,” and then she finds the material to match that feeling. 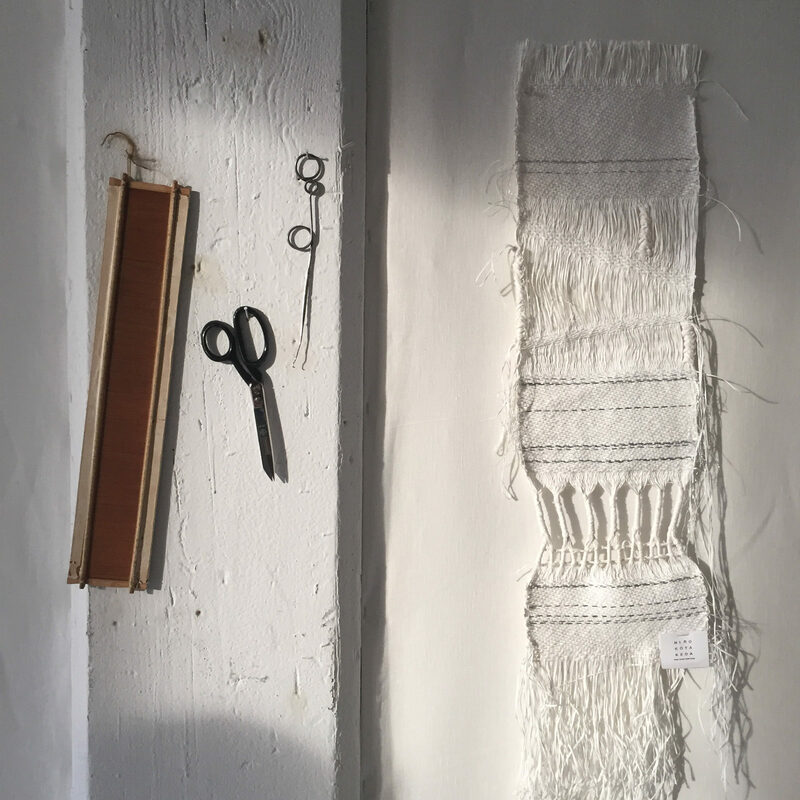 I visit Takeda in her studio at the Can Factory, right next door to Workstead, who I visited a few months back (and who, of course, have a piece by Takeda hanging on their wall — I spotted it instantly). 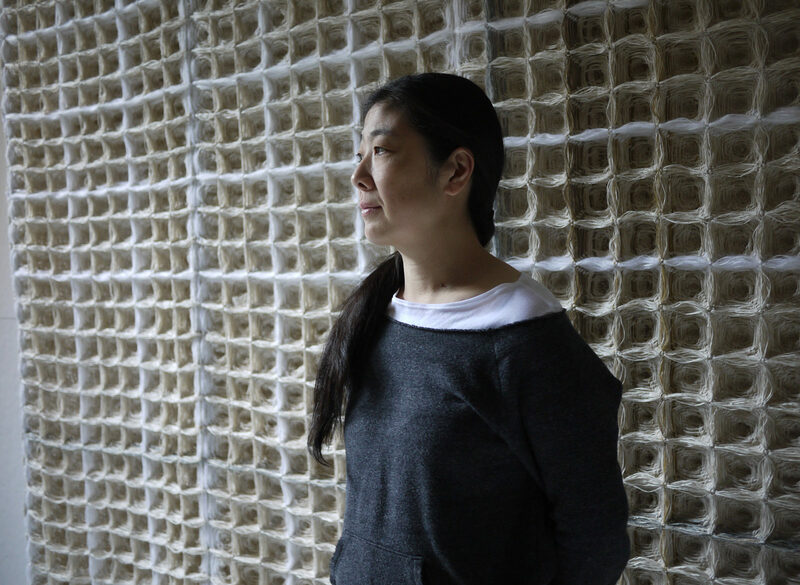 Takeda settled into her studio at the Can Factory after bouncing around for a bit when she left her job with Larsen to start working on her own. 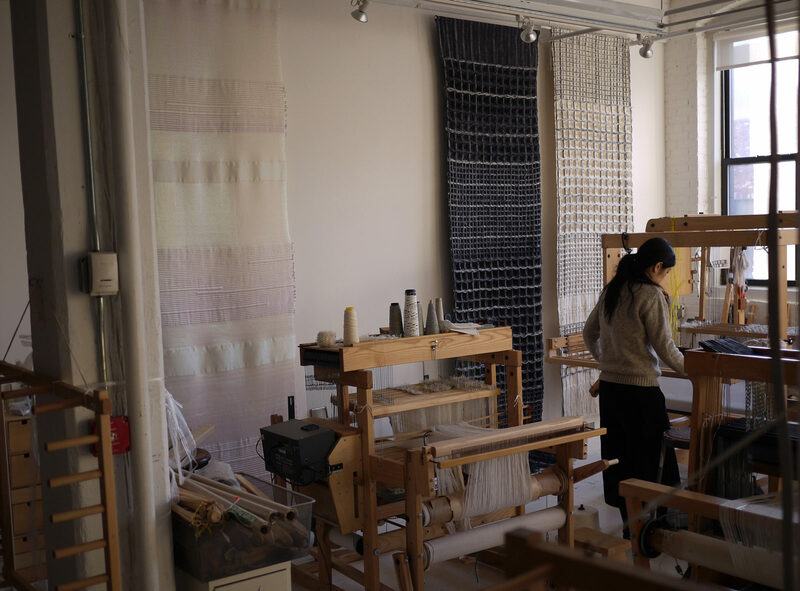 You can go to an industrial textile plants, and you can go by your friends house upstate who just got obsessed with weaving, but I don’t know how many opportunities you’ll have to see a studio quite like Takeda’s where the mastercraftswoman is at work in such a hands on way. 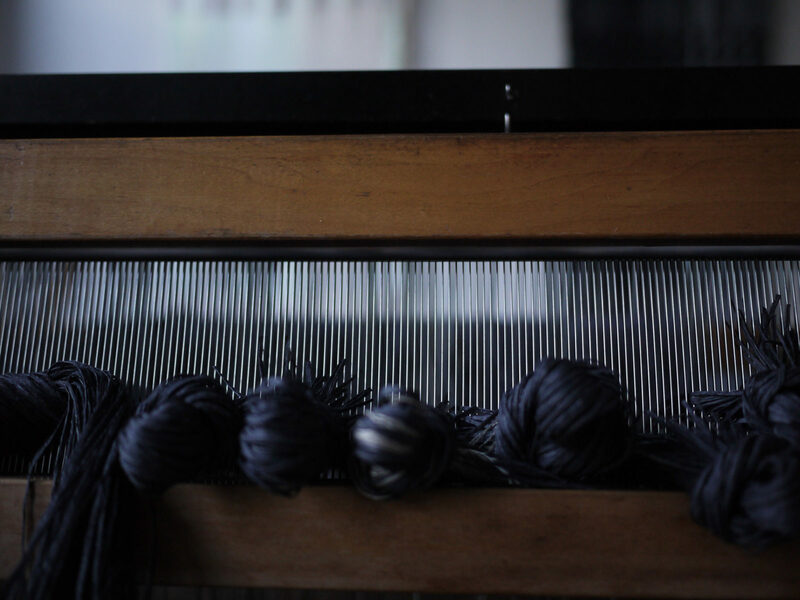 She, along with three assistants, uses 4 looms. The main one is operated by foot pedals, another is automated by computer, but they all look like they could be straight out of the legendary workshop of Rumpelstiltskin. I have a craft background and technique. There will be a project, and I just use that technique to realize my idea or concept. She shows me her weaving plan for the golden weave, and warns me “it’s very technical,” but it’s not technical in a sense that involves any type of modern technology. In fact it unfurls on a great paper scroll that perfectly encapsulates the marriage of mathematics and materials that formed her from childhood. 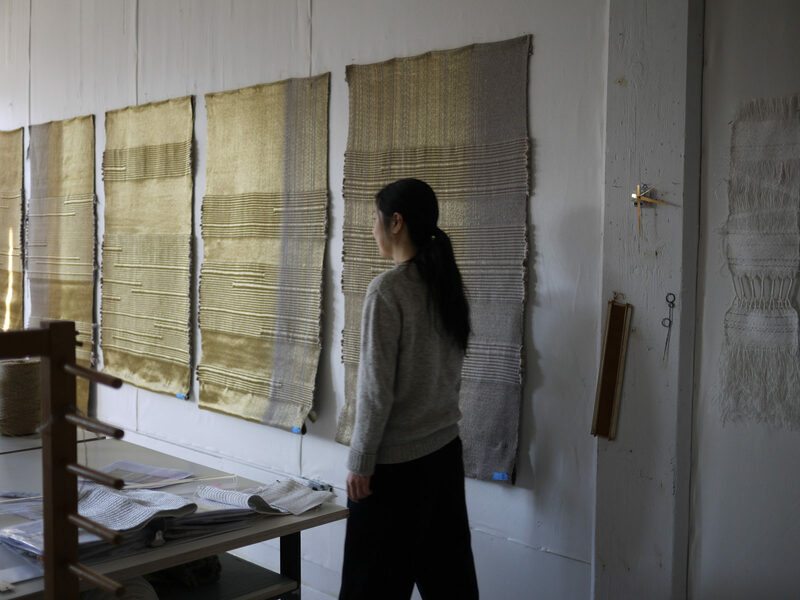 The golden weaves are for a client out of the country, but I’m confident that, as is often the case with Takeda’s work, it won’t be long before we see these golden style of weave hanging from walls all across New York.